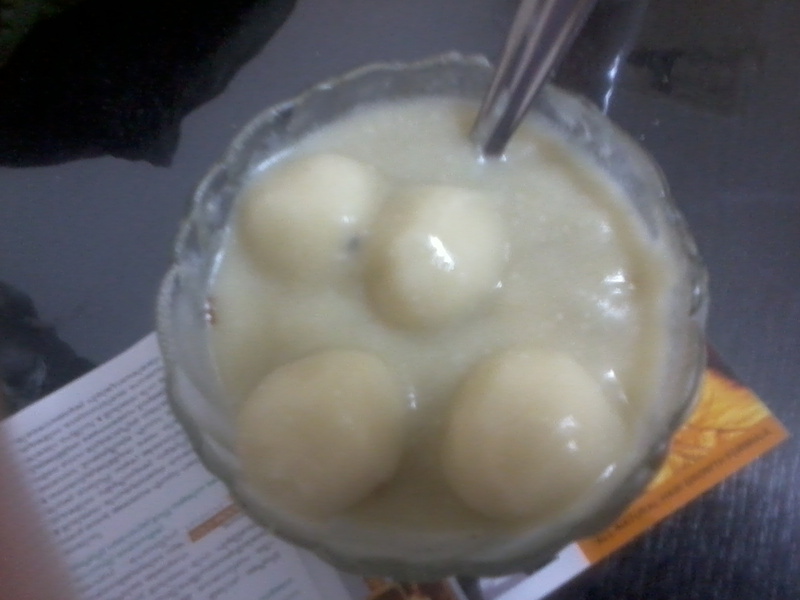 Here comes the second fav recipe of Maama.. Its quiet a easy one to do too.. Mix rice flour,a pinch of salt and hot water like that of chapathi dough form.Make small balls out of it and keep it aside. Take a heavy bottomed vessel and boil water in it.When the water starts to boil,bring to medium flame and drop the balls into it.See that all the balls are immersed well or you can do it in 2 turns. It roughly takes about 20 mins to get cooked. At the mean time,Grate the jaggery,If you are thinking about impurities,you can take it as sarkarai paagu and add to the kozhukattai. finally add the cocunut milk/milk and allow it to boil for a sec.Add in crushed cardamom.Serve hot.